The issue of improving mental health care across the state seemed like a unifying theme at the outset of this legislative session. It was also highlighted as an emergency item by Texas Governor Greg Abbott, who called for more student mental health screenings in response to last year's Santa Fe High School shooting. Now, it's become the subject of some controversy at the statehouse. Austin's rules on short-term rental units – those vacation rentals on apps and sites like Airbnb and Homeaway – are under fire at the Texas Capitol. House lawmakers heard testimony Thursday on a bill that would override the city's ban on properties in residential areas that aren't owner-occupied. The Texas House is scheduled to debate its $250 billion budget Wednesday — and possibly into Thursday morning. It marks the full chamber’s last chance to change House Bill 1 before House leaders begin private negotiations with the Senate on 2020-21 funding priorities. A bill that would create more uniform policies on speech at Texas colleges and universities passed unanimously out of a Senate committee Monday. 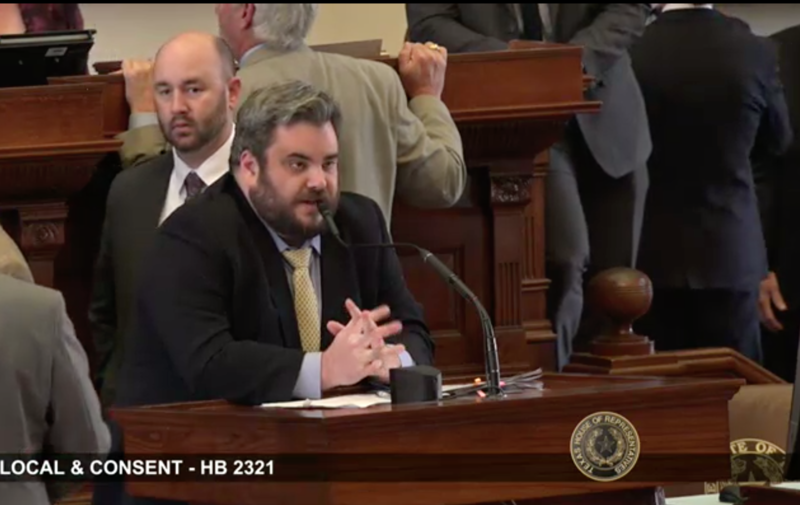 With Texas House lawmakers unveiling their long-awaited school finance proposal Tuesday and the Senate's version likely close behind, teacher pay appears to be emerging as one of the biggest sticking points between the two chambers.